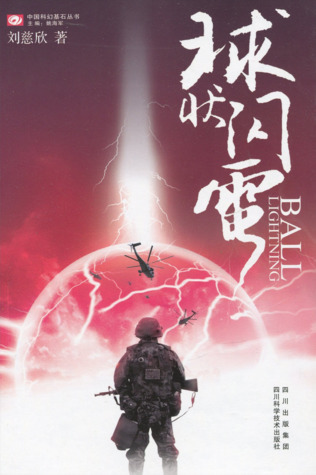 In Ball Lightning, Cixin Liu greatly examined the effects of obsession with science and weaponry. I’m a fan of Cixin Liu’s Remembrance of Earth Past trilogy. The second book in that series, The Dark Forest remains in my personal top three sci-fi novels of all time and will most likely stay there for a very long time. Plus, the fact that Ball Lightning is translated by Joel Martinsen, the same translator of The Dark Forest, made me eager to read this one. But then what happened when that fascination turns into an obsession? The story starts when Chen’s parents are incinerated by a blast of ball lightning right before his eyes. After this event, Chen immediately decided to devote his entire life to unravel the secret behind the occurrence of the ball lightning. Science, physics, and the theme of obsession with something is the core of the story in the novel. Cixin Liu did a great job on the story, themes exploration, and science aspect of the book. Reading Liu’s books, even though it’s hard sci-fi and I didn’t understand some parts, always felt thought-provoking and quite easy to follow. Cixin Liu isn’t merciless like Hannu Rajaniemi. In my opinion, the lack of exposition in Rajaniemi’s Jean le Flambeur series was brutal, ten times worse than Malazan Book of the Fallen; this could totally be because I’m better versed in reading fantasy than sci-fi though. However, Liu prepared some time to explain the scientific parts he’s talking about in detail so I didn’t feel completely lost. In order words, Cixin Liu backed all his theories with exposure and that’s something I highly appreciate in the hard sci-fi genre. The downsides to this book to me are the same as the flaws I found in The Three-Body Problem: the characterizations were completely neglected. Even though the story was mostly told in first person narration, the characterizations were still flat. This isn’t like Dark Forest or Death’s End where Cixin Liu utilized a more evident character-driven narration; science and physics are top priorities here. There was only one memorable character inside this book and that was only because I’ve read the Remembrance of Earth’s Past trilogy. Not only the characterizations were lacking, the storytelling direction was also quite damaging to the pacing of the book. There were two occasions in the book where the character was telling his/her story; this was done in a lecture form of narrative. I’m talking about ONE dialogue that goes on for almost an entire chapter without a single break or attention to the environment/characters surrounding the storyteller. It was extremely boring and tedious; to me, it totally felt like being forced to attend a lesson where the teacher talked about his/her life in full detail but we, as the student had to remain in absolute silence both verbally and physically. Remember, this book serves as a prequel and was written before The Three-Body Problem got published. Cixin Liu has come a long way as an author since this piece of work and I’m still looking forward to reading his newest book. If you have a great understanding of physics and you’re okay with reading a sci-fi novel that put science discussions as the main driving force of the story—at the same time neglecting its characterizations—Ball Lightning will most likely be a hit for you. It’s extremely heavy on the sci-fi aspect, sometimes I wonder why I even enjoyed it when I understood like only half of the discussion xD. Thank you, Tammy! !